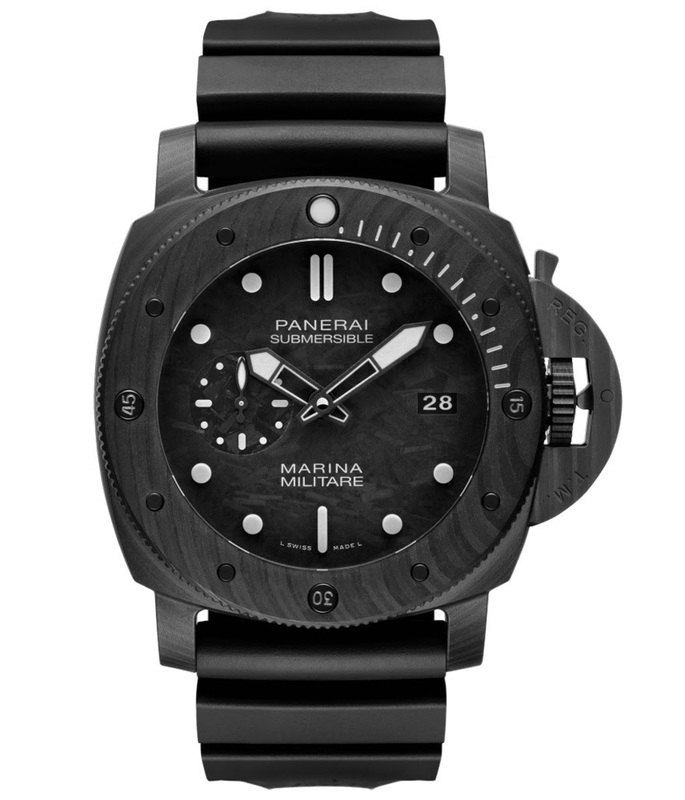 SIHH 2019: Panerai Submersible Carbotech Marina Militare 47 mm references PAM 961 and 979. 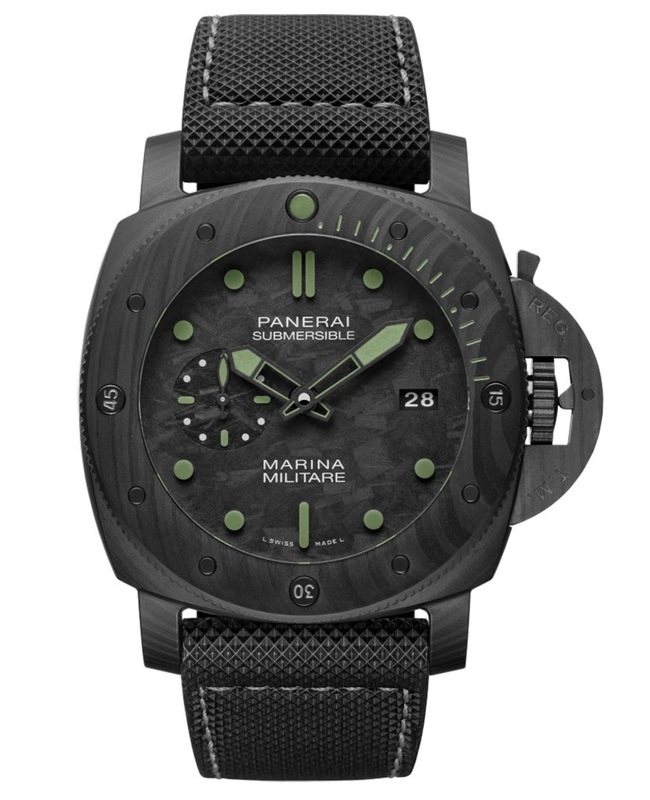 While till then Panerai Marina Militare were the apanage of the Luminor line, at the exception of the Radiomir PAM 339, we have, this year a revolution with the introduction of 2 " Marina Militare Submersible ", the PAM 961 and the PAM 979. Truth to be told, I don't understand some things, here. 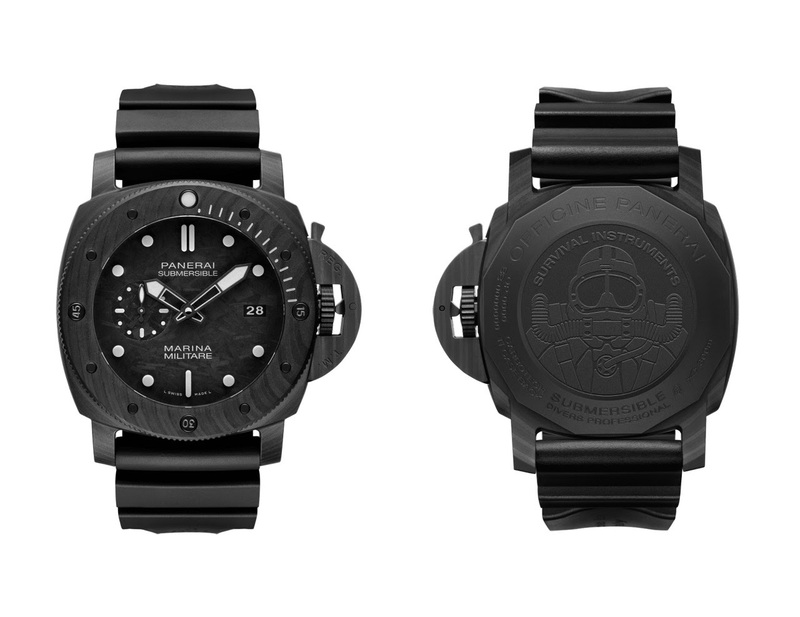 First of all, why two very close Submersible badged Marina Militare? Indeed, both come with the same case, bezel, case back ( Carbotech for the case and bezel / Blackened Titanium for the case back ) and dial ( Carbon ). Same movement, too, with the Cal 9010, automatic, 3 days power reserve, with the possibility to adjust the hours independently from the minutes. 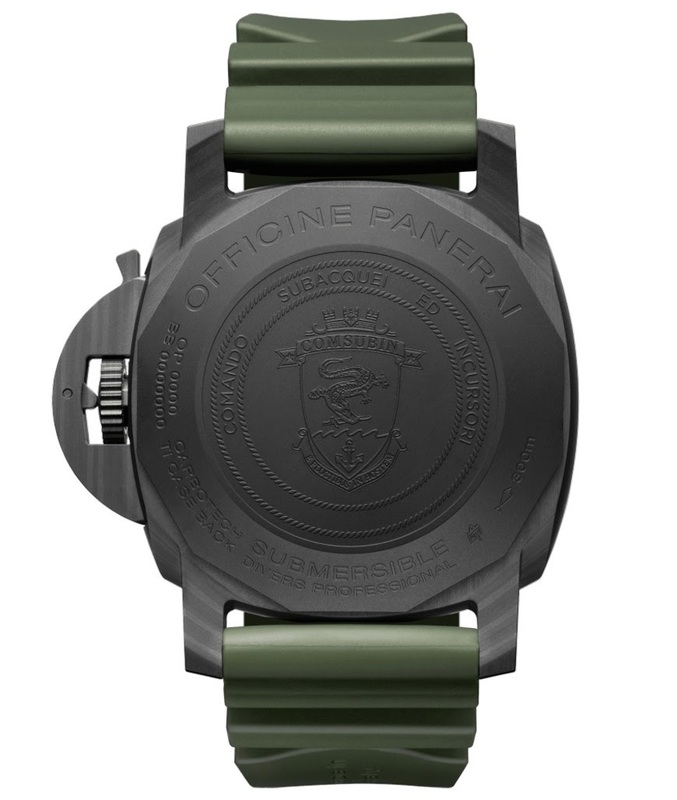 Then, why a difference of 20, 000 euros between these 2 ( 39, 900 Euros for the PAM 961, 19, 900 Euros for the PAM 979 )... 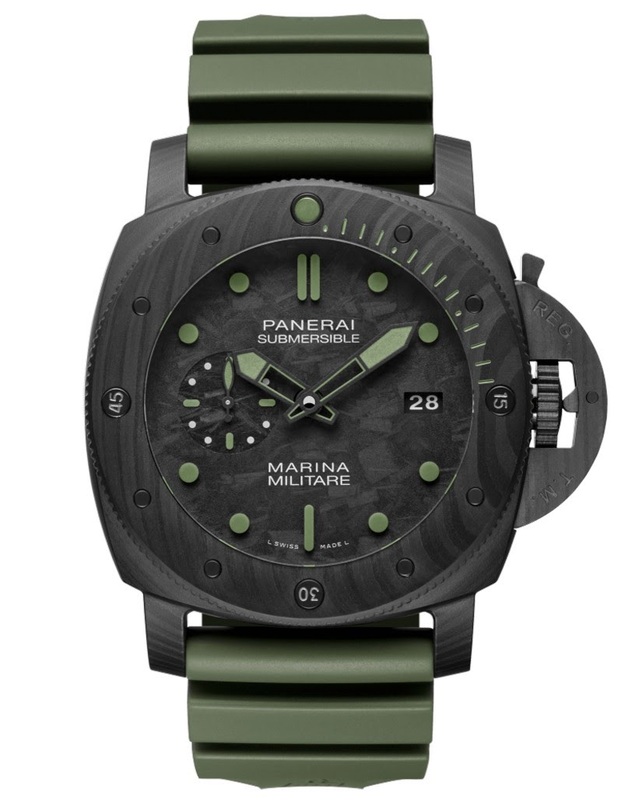 The fact that the PAM 961 is limited to 33 pieces and that you will be offered a training day with the Italian Marine Commandos doesn't justify such a difference in price, in my opinion. I would have loved to see some stuff for the old school guys among us, to tell you all. 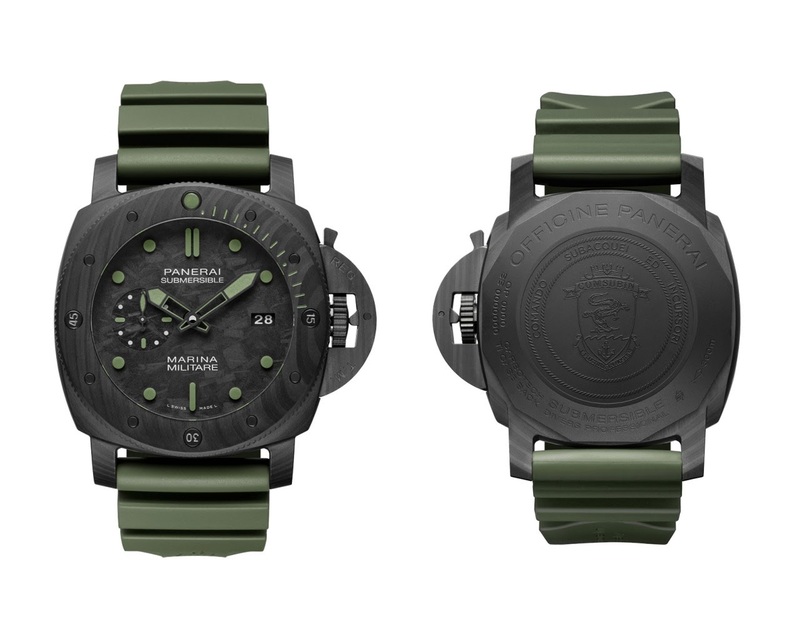 And why not, a Marina Militare in the Submersible line, and another Marina Militare in the Luminor line. 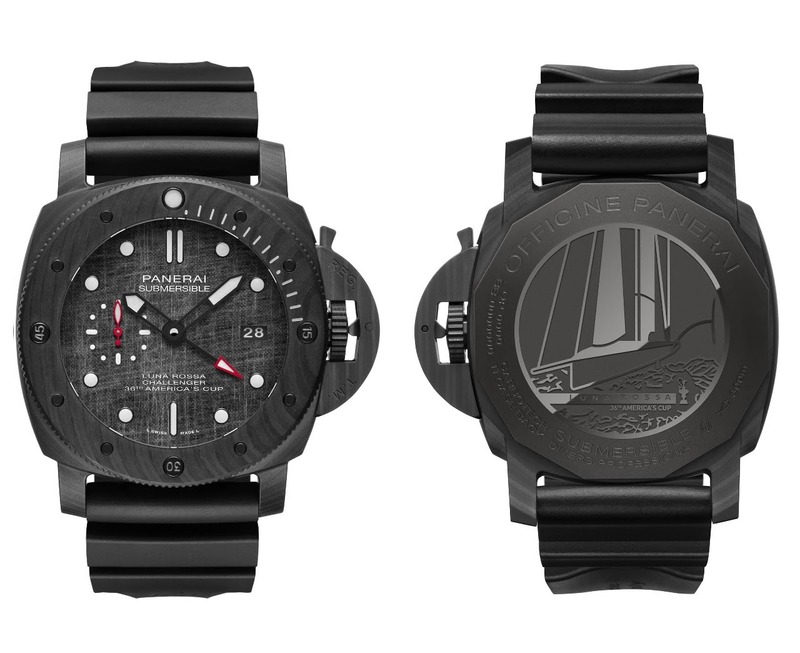 But two Marina Militare Submersible? I really don't get it. Cheapening... That was the word I was looking for. The PAM 979 is too much, for me. 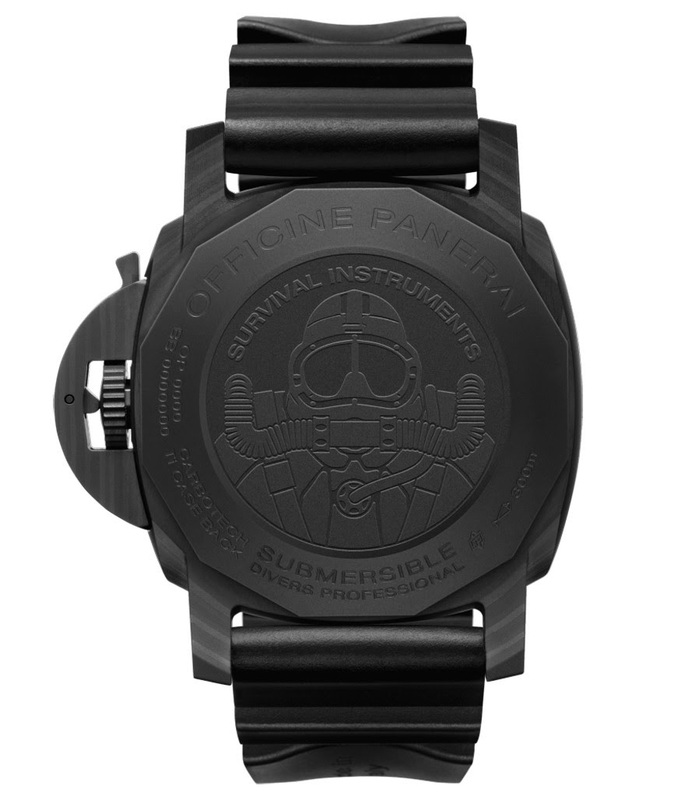 One is ok, and why not the PAM 961 only. I have to agree 100% with your thoughts, my friend. A bit of history... Throughout their history the MM has issued medals of Military Valour to 33 of their men, thus the edition of 33. Sergio, you just killed me. Too good, but I can only agree with that.